Natural cleaning brand method (remember I did a post with them a little while ago?) also did some reasearch and found out that one in five of us wear clothes taken straight from the dirty laundry. Also Ew. Plus a quarter of people say their cleaner is more important to them than their doctor. 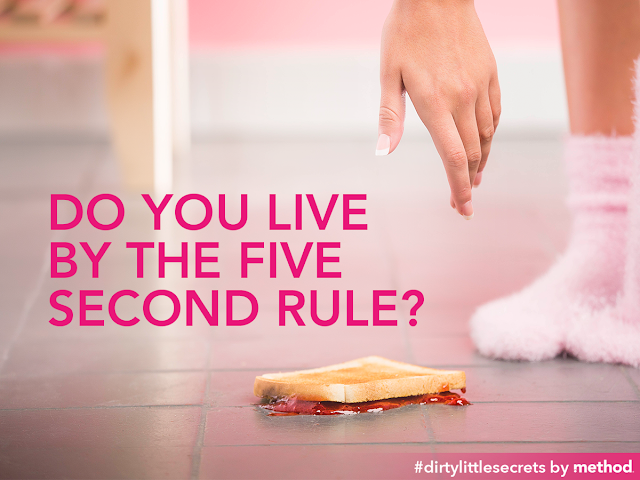 Check out this list of Britain’s top ten most surprising #dirtylittlesecrets! Apart from the ewwwwss and the yuck, I actually thought it was pretty interesting! 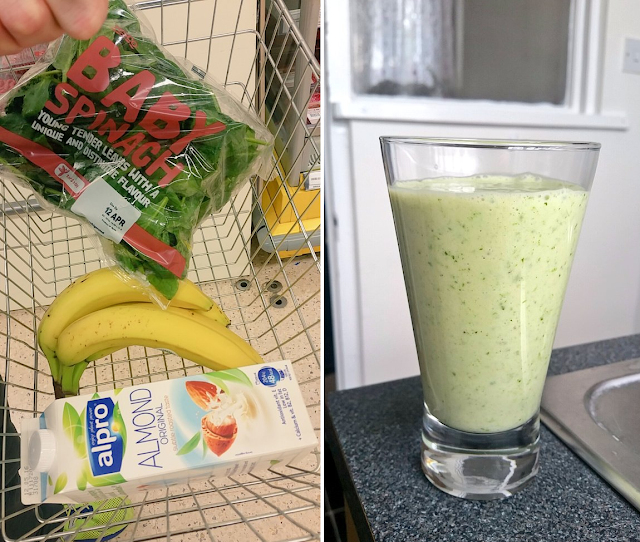 To go together with this, I was asked to write about my morning routine but I'll be honest it isn't very exciting, especially during the week and I only have one dirty little secret but more on that later. I can get from waking up to out of the door in 11 minutes if needed, a little precise, I know, but that's because it happened last week and I was pretty impressed with myself. That was one of the quicker mornings obvs but I think I left the house looking pretty much the same and I still managed to do everything I usually do - just a bit faster! So let me talk you through it. During the week, I set my alarm for 7am and start my morning listening to Dave Berry on capital for 10 (or 30) minutes. I like listening to them talk because it makes me feel like I need to concentrate which wakes up my brain - does that even make sense? If that doesnt work, then I'll jump on youtube and find something loud and fast - at the moment, my go to song is Riton Ft. Kah-Lo - Rinse & Repeat. Then when I finally get out of bed & find my clothes for the day (not out of the dirty laundry, ew), they go straight onto my radiator because getting into warm clothes makes so much difference! I usually shower in the evenings so I dont need to worry about that until later on. So now maybe I should let you in to my little secret. I only wash my hair once a week, soz. I'm in that routine and it works for me, my hair lasts fine and I seriously don't think it looks much different from day one to day seven, is that really terrible? Annyyyway, back to what I do do. Honestly, it's just a matter of brushing my teeth, eyeliner on, clothes on, perfume (currently FIERCE by A&F) and out of the door, well I say that but actually, I have OCD which means I cant just walk out of the door, not until I have checked all of my plugs, two doors, both cameras, my laptop and a window that I have never even opened. It used to completely take over my morning but with the help of my therapist, I am getting better at leaving my bedroom in the morning so hopefully that'll be something that wont be part of my morning routine for much longer. At the weekends, we have never really laid in later than 9, nowadays we're up early and at the gym before then! Again, as of recently, My blender is finally getting some use and after the gym, I'll make myself a smoothie, this weekend it was banana, spinach, almond milk, honey & yoghurt and for my first attempt at spinach inside a smoothie (lets forget that I worked at Boost for 6 months) it wasnt too bad! I took a handful and Andrew ate the rest for breakfast with some garlic paste. Yeah, I thought it was strange too. After that, it's all about a nice long bath with something from Lush, a little face cream, maybe even some mascara and my contact lenses! A hairdryer to dust, AHAHAH BRILLIANT. Also, I wish I could get away with washing my hair once a week, very envious.